Swissport has been awarded a five-year ground handling contract by long-term partner easyJet at Belfast International airport, commencing March 2019. 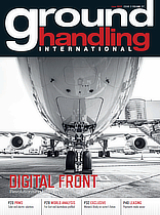 The handler will provide passenger and baggage handling services as well as aircraft de-icing for nearly 5m passengers during the 2019 financial year. On the ramp, Swissport will handle over 16,500 easyJet flights a year, serving 35 routes from Belfast International. The new contract follows the handler’s recent win of another easyJet contract at Liverpool airport, furthering the pair’s long-standing co-operation. Swissport now provides ground services to easyJet at 19 airports in the UK, Germany, Switzerland, Finland, Spain, Morocco and Israel. Swissport recently reported that the number of passengers handled on behalf of its airline clients increased to 132m in the first half of 2018, up 10% from 2017.